Mineral foundation has never been on my radar. Ever. For some time, there was an internal thought that I’d ever find a mineral foundation that didn’t make me look ashy. The instinct to actually find my “mineral match” was non-existent. Shopping for it in department stores wasn’t easier than in the drugstores (which rarely if ever have a foundation in my shade, regardless of the formula). When IQ Natural reached out to me to review their foundations, my immediate instinct was that they wouldn’t have a shade for me. Not usually the pessimist when it comes to finding my foundation shade (there are a good amount of brands that actually do cater to us brown and dark women), I was pleasently relieved that IQ Natural was able to provide me with 5 of their darkest shades to test. The truth is that a lot of companies don’t know how to get foundation in general, just right for women of color. To some extent, rightfully so. 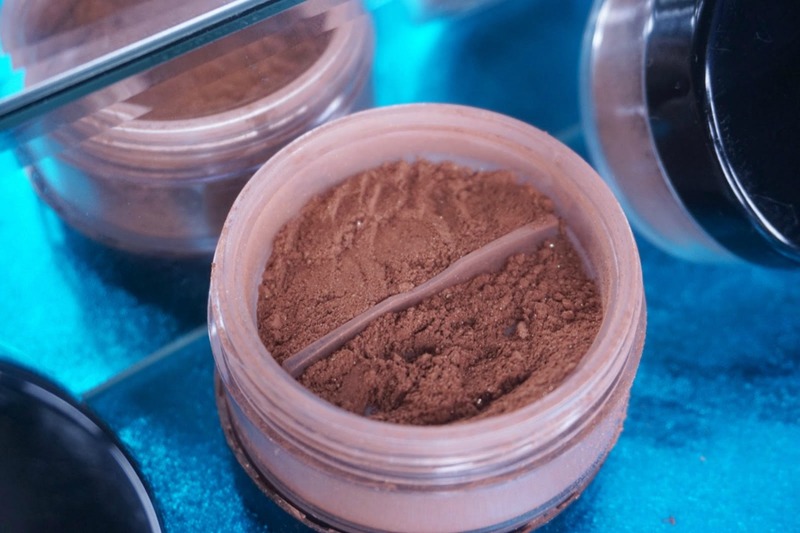 Understanding and actually being able to create a variety of foundations, especially mineral loose powders, for women of color and our various undertones is very hard. I tested the powders for a few weeks, before and after getting a rich tan from a trip to Mexico. In the pictures above (which are not touched up), I applied two of the powders to create a dynamic effect on my face. Dark Warm was applied to the middle of my face because my face is lighter on this inside. This is true for many darker women. I also only seem to tan on the perimeters of my face. Deep Dark is applied to the perimeters of my face. Dark Warm has a golden undertone that gives my skin a particular glow in the middle of my face. It almost offers a bronzer effect. Deep Dark seems to have cool undertones that help balance out my two-tone skin complexion. It’s also a rich chocolate that will probably do pretty good with dark complexions that aren’t as warm. Think Lupita’s cool undertone versus Gabrielle Union’s golden undertone. If you have a warmer undertone, don’t be afraid to mix this with the True Deep shade for a more dynamic effect. Tru Deep is also a rich, chocolate shade that has warm undertones in it already. Dark Warm is a shade lighter than Deep Dark, but with rich golden undertones. Dark seems like a good combo of Dark Warm, Tru Deep and Deep Warm. It looks like the color of dry chocolate milk. I can see golden flecks in the powder, which will lead me to believe that it is for women with more of a warmer complexion. The scary part about buying foundation online is that you just don’t know for sure if it will match perfectly. It’s understandable. The best I can do is offer my personal insight and hope that this is one step to finding a foundation that works for your complexion. these require a connect-in installment).